Soy is a ‘miracle’ food. While some have praised soy for its potential to reduce cholesterol and the risk of cardiovascular disease; others have asserted that soy can protect against cancers. Soybeans have more protein than any other bean and are the only plant-based protein source that contains a high proportion of all nine essential amino acids, making it a source of complete protein. 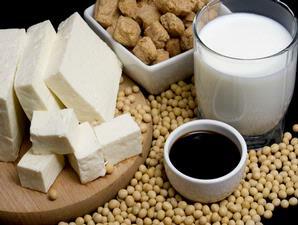 Soy originally comes from the soya bean, which is a type of bean (legume). Now, you have probably seen many soy-based foods at the supermarket. A study has found that women who ate soy products more than five times a week, were 70 percents less likely to have a heart attack or stroke compared with those women who had a low soy intake. Moreover, population studies have shown that women who consume daily soy foods, also have low rates of breast cancer. Therefore, soy intake recommendations for breast cancer patients are similar to those for healthy women. Overall the evidence suggests that the intake of approximately 15 g of isoflavones per day is safe and has the potential to exert health benefits. This amount of soy protein and isoflavones is provided by approximately two servings of traditional soy foods.